If you’re a member of the press and would like to test and review Exhibeo 2, get in touch with Joe Billings, Managing Director of Softpress, joe@softpress.com or @jbllngs. 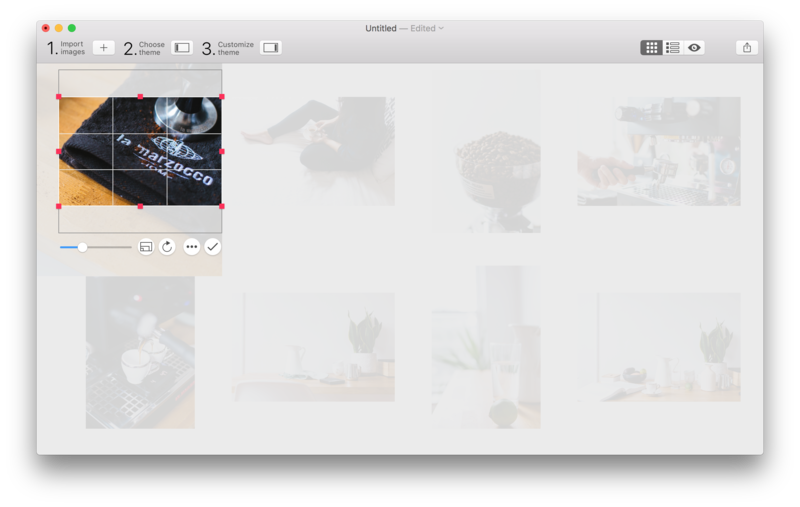 Exhibeo 2 is a simple and powerful photo gallery builder for Mac. 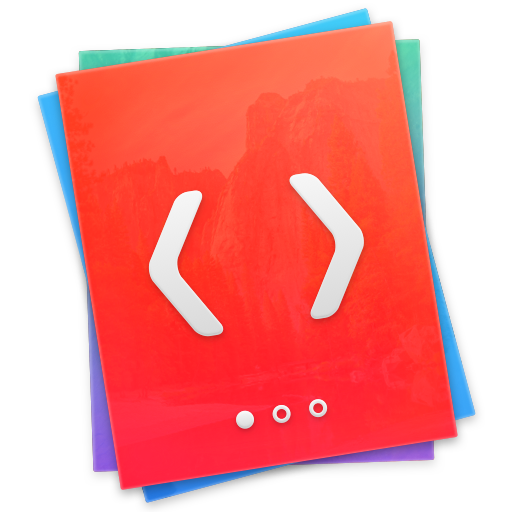 It’s $30 from Softpress or the Mac App Store. It requires MacOS 10.10 Yosemite or better. 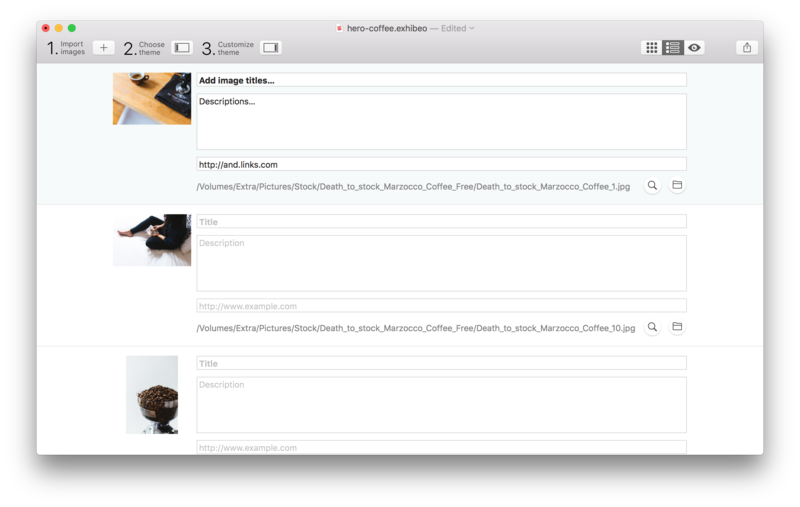 Just add images, select a theme and export to get a single block of code that can easily be added to any website. With seven gallery styles ranging from thumbnail grids, sliders, and feature galleries, there’s something for everyone – from showcasing artwork and portfolios, to hero treatment and points-of-interest. 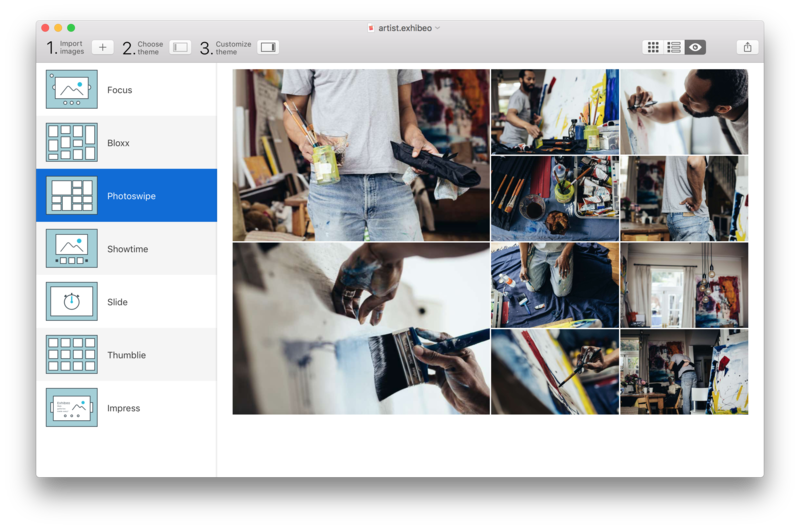 Once imported, images are completely editable – no more switching between tools to make changes. Thumbnails are automatically generated and are, of course, also editable. Users can add titles, descriptions and links to each of their images, which are displayed and styled within the theme. Titles and descriptions can also be directly pulled from the metadata contained within the images. Embedding a gallery from Exhibeo to a website is effortless. Exhibeo generates a single block of code that integrates seamlessly. Exhibeo 2 has been completely redesigned – we’ve refined the interface making it slicker, more intuitive, and more in-keeping with MacOS. Simpler embed code makes it faster and easier to add galleries to your website. There’s a new theme, Photoswipe. The thumbnail layout of Photoswipe provides a unique, flexible mosaic of images, each of which can be scaled-up and are zoom-able. Existing themes have been improved with new transitions and options. A new “metadata view” is now available for entering image titles, descriptions, and links. Titles and descriptions can also be imported from the metadata or filenames of the original images. Where themes allow it, images can be made pass-through, preventing Exhibeo from running any further compression on them. Links can now be made to open in a new window. 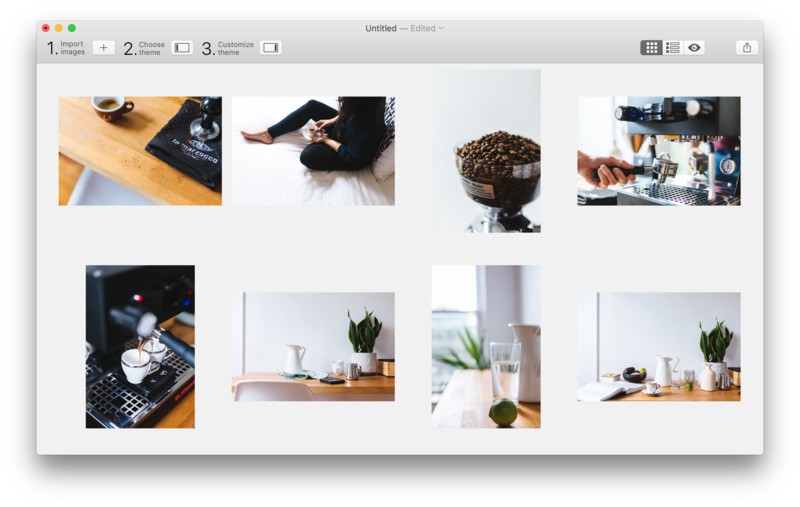 New options have been added for locking aspect ratios and image sizes when scaling and cropping images. Aspect ratios can be matched to other images in your galleries.